Endurance gives us the ability to overexert ourselves, yet still have enough energy remaining to finish out the day. Endurance is quite hard to keep up, especially considering there’s only a certain amount of energy we can have before we drop. But, what if I were to tell you that there are several food out there that we can consume in order to boost our endurance levels? What if I told you that working out at the gym after a long, strenuous day of work is finally possible if you eat the right food? What if, what if, what if? Well, I’m here to tell you just that. This list of food will change your energy levels tenfold. Pick out the ones that are most appealing to you, and you’ll be on your way to a life with adequate endurance, allowing you to potentially do what you want, when you want, without exhausting yourself. Believe it or not, this incredibly small superfood is so good for you it’s crazy. Their size should not leave you thinking they have no endurance properties in them, because they actually do; They have a massive amount of endurance properties within them. It’s actually told that the Aztec and Mayan warriors would eat chia seeds to hold them over while they were in heavy battles. Why? Because chia seeds provide power and endurance without weighing their stomachs down. 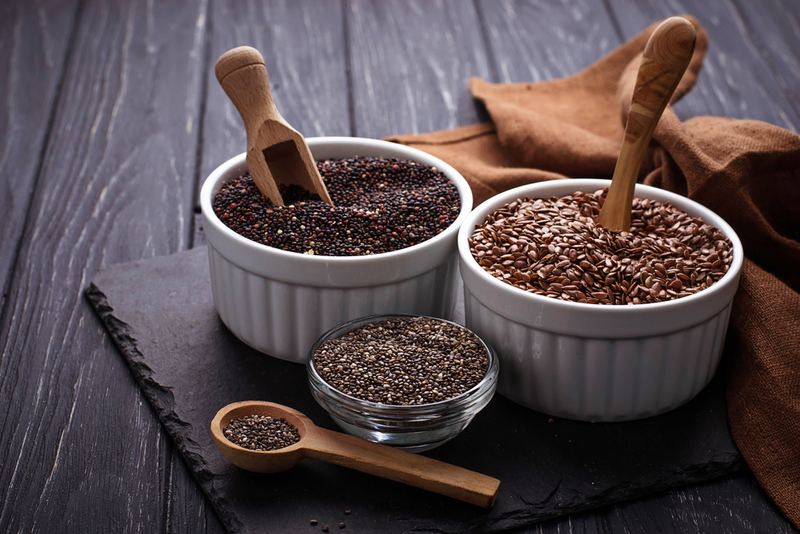 Such ancient ways of gaining endurance are here for us to indulge in, so go eat some chia seeds next time you’re feeling sluggish. Along with chia seeds, quinoa is also an ancient food used for endurance. Included in this superfood are magnesium, iron, phosphorous, zinc, copper, and manganese. These nutrients allow you and your body to be at its best during all times of the day. As a matter of fact, the iron present in quinoa gives our bodies the ability to fight through power workouts while also ensuring muscles throughout the body have the proper amount of oxygen to get the job done. Carbohydrates are essential to maintaining a healthy endurance level, we generally know this. Specifically, those athletes that work out for more than 90 minutes in a session should highly consider incorporating carbohydrates into their diet such as oatmeal. This slow digesting carbohydrate gives us energy that lasts a super long time. And, oatmeal can help in other areas of health, such as digestion. Having a daily serving of oatmeal can make it easy to lose a few extra pounds, too. Out of all the nuts out there today, walnuts are the ones to go to if you’d like to spike your endurance levels a tad. I understand this is not the first superfood you think of when you want to increase your energy levels, but I can assure you, it makes sure the job gets done. Not only do they assist in boosting endurance levels, but they also contain anti-inflammatory properties that help the body out. Other nutrients found in walnuts are protein, fiber, and vitamins B and E.
Kale is a yummy green proven to boost endurance in the body. This great vegetable contains a massive amount of protein and fiber, ensuring the body gets what it needs to carry out daily activities. Other nutrients within kale consist of calcium, vitamins K and C, and magnesium. In addition, kale also aids in preventing inflammation, boosts bone health, and assures you that your immune system is strong and healthy. Another good green vegetable for you, and endurance booster, is spinach. Spinach has massive amounts of protein and iron within it. The fact that it has so much iron within it assures that athletes have the proper amount of energy to carry out workouts, the proper amount of oxygen within the muscles, and the proper maintenance of pH balances within the body. To add, spinach has an efficient amount of vitamin K within it, allowing the bones within the body to grow and be as healthy as they can be. Sweet potatoes give us endurance, and they’re absolutely delicious (especially over regular potatoes). Even though this vegetable is high in carbs, it gives us the energy we need to last a long day. Plus, their a natural food that can replace an unhealthy carbohydrate intake; For example, we can use sweet potatoes in place of pasta or heavy amounts of bread. And, unlike pasta and bread, sweet potatoes carry with them vitamins A and C, and minerals potassium and magnesium. Protein and fiber also fill them. This fish is by far one of the best fishes for us to eat, and they spike high levels of endurance within the body. 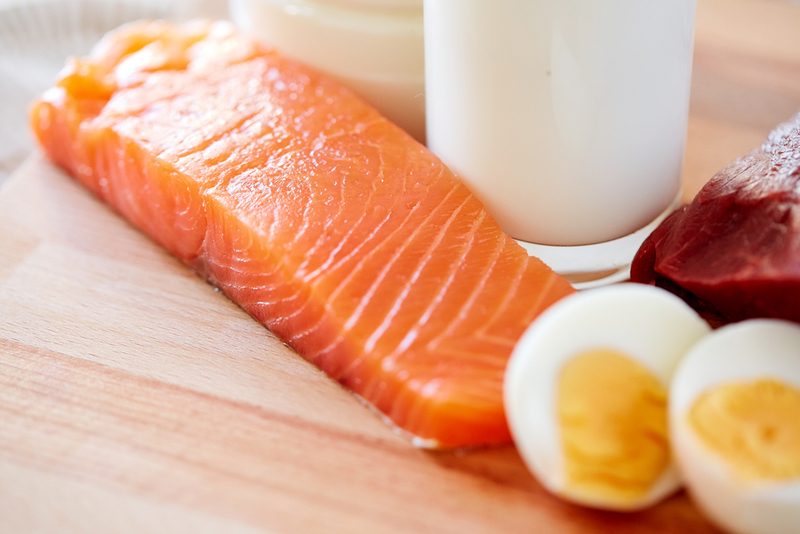 The omega 3 properties within salmon help regulate inflammation levels. To add, salmon helps our body in recovery phases, such as that of muscle cutting and rebuilding. Eggs are so good, aren’t they? Especially that runny yoke in the middle, if cooked the right way. And, they’re an amazing source of energy. Why? Because they have a great big amount of protein within them, and they have all the essential amino acids your body needs to maintain good health. Vitamins and minerals accompany eggs, too. Bananas, as a fruit, are highly impressive when it comes to boosting endurance within the body. They’re pretty much loaded with potassium, therefore giving you your daily-recommended intake. Plus, their handy and easy to eat on the go to gain a little extra energy. One a day will help your endurance health drastically. And, a lovely bonus factor in eating bananas is that your Charlie horses (if you’re susceptible to get them) will go away. Many athletes have tight muscles in their calves, so eating a banana a day can reassure them that they don’t have to go through such a painful experience anymore. Previous ArticleLosing Weight by a Deadline: How Can We Drop Pounds Fast?